Celestia just stared into space like she always did but she drank the water slowly as Twilight tilted the glass to her. Twilight looked at Luna smiling as she was about to say exactly where it was but she stopped. “It’s right on the… wait. He was right…” She blinked. “Who was right?” Luna asked. 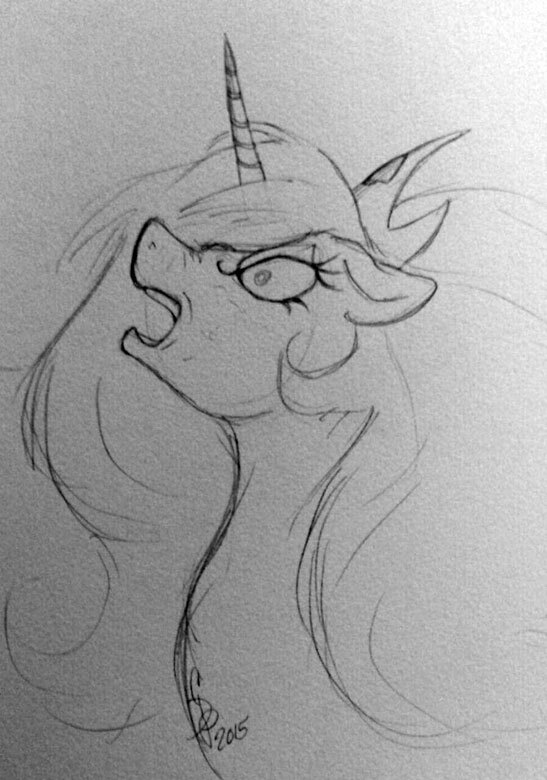 Celestia blinked slowly and put up her hoof sweeping the glass of water onto the floor where it shattered. She moved slightly and shook her head she placed her hooves on the sides of her head. “No… NO! NO!” She started yelling. Twilight and Luna were shocked by the sudden reaction by Celestia. The princess was suddenly more animated she had been in almost a year. Both of them advanced carefully to Celestia. “Sister, are ye quite alright?” Luna asked as she approached her. 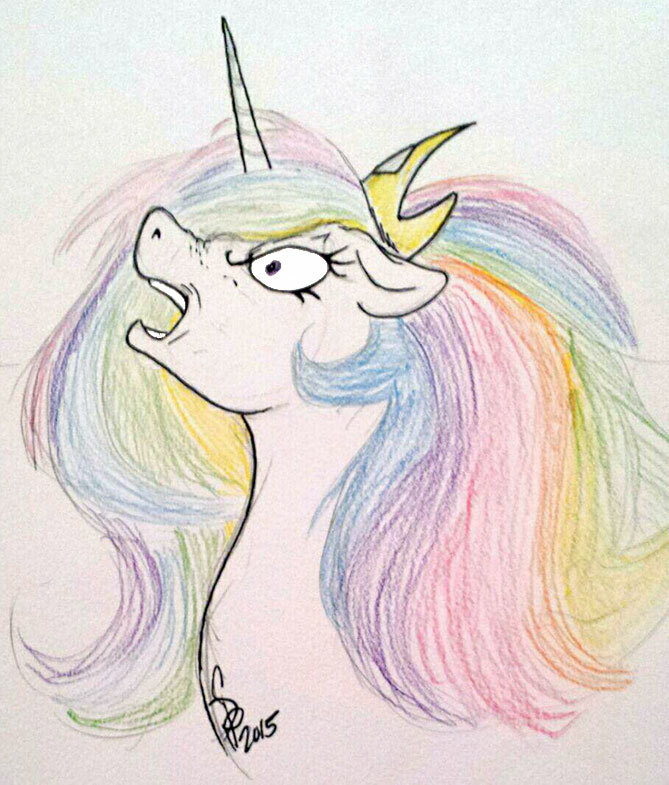 “NO!” Celestia screamed suddenly. “NO!” She stood up quickly and spread her wings out. Twilight nodded as she used her magic to make Celestia’s wings fold back. “She’s strong!” She gasped. “It sure gave her more energy.” Twilight huffed out. Celestia was breathing hard as she stared at both Luna and Twilight. She was frowning with her head down and her breath came out as snorts through her nostrils. “No…” she said again as she slowly took a couple of steps and collapsed, falling asleep almost instantly. “Perhaps we shall give her less of the water tomorrow? Maybe a little goes a long way?” Luna asked. “I’m beginning to think I was tricked in giving Celestia the wrong water.” Twilight muttered as she frowned.